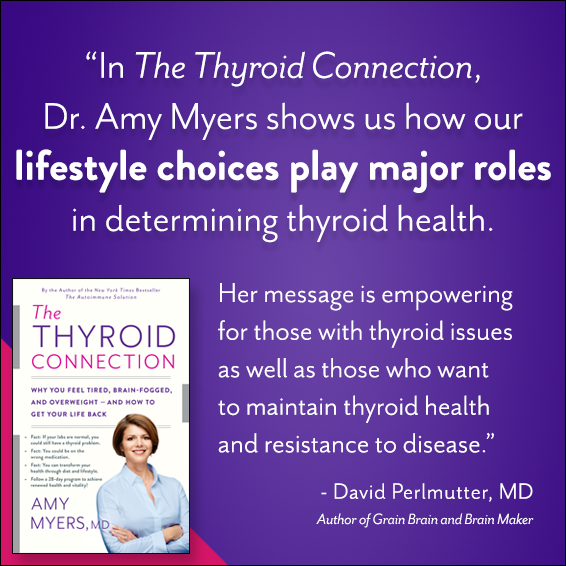 Thank you so much for your support with my new book, The Thyroid Connection, and The Thyroid Connection Summit! 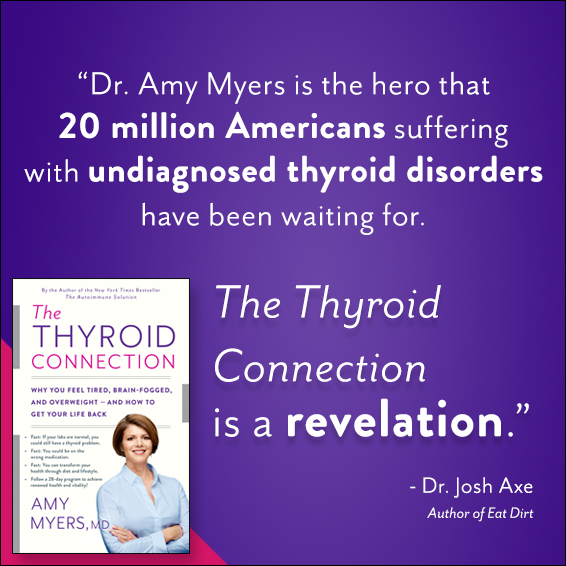 I am so excited to help millions of people overcome thyroid dysfunction and take back their lives! Are you tired, plagued by brain fog, struggling with anxiety or depression, constantly cold or always hot, or unable to lose or gain weight? If so, you could have thyroid dysfunction. 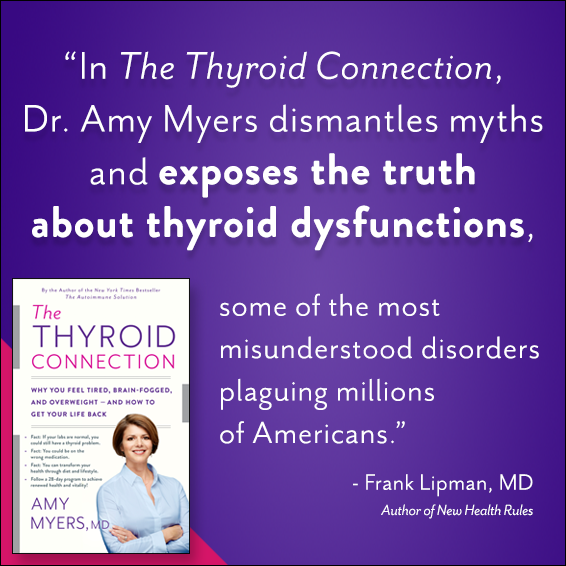 Over 27 million Americans, and one and eight women, have some form of thyroid dysfunction, and what’s worse – 60% of them don’t know they have it! 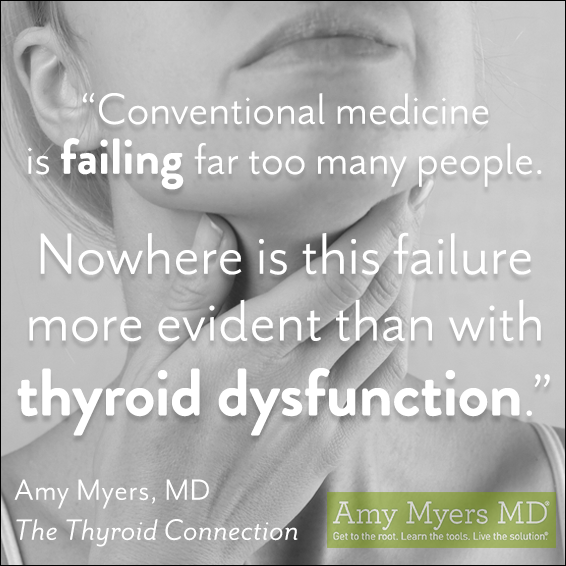 Even though millions of people are living with thyroid dysfunction, conventional medicine continues to fail them. 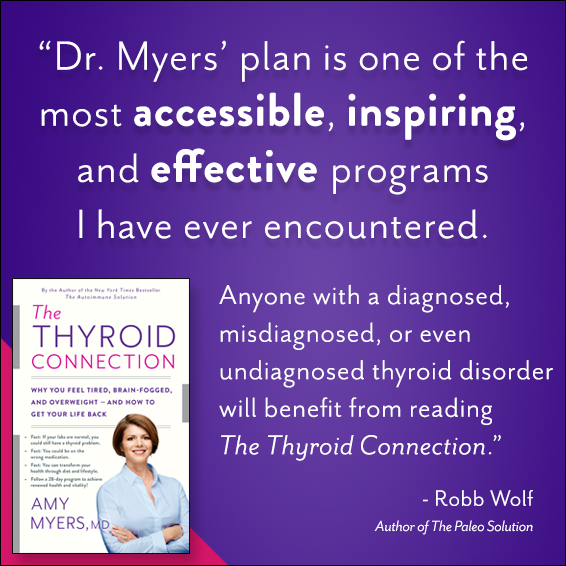 My friend, Dr. Amy Myers, a functional medicine physician and New York Times best selling author, knows this firsthand because conventional medicine failed her in her own journey with Graves’ disease. Dr. Myers is on a mission to not have conventional medicine fail you too. 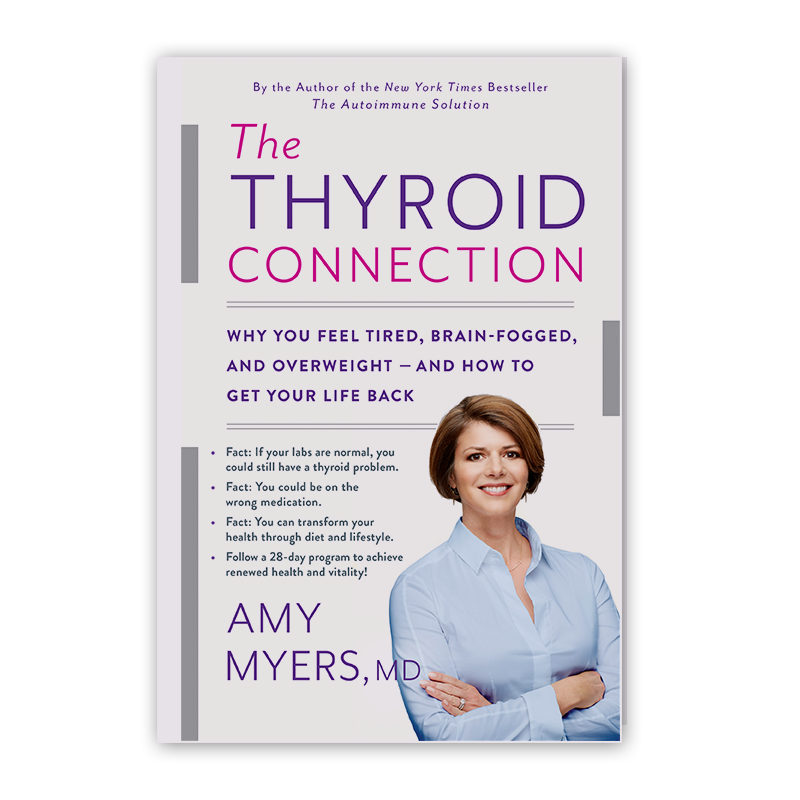 In her new book, The Thyroid Connection, Dr. Myers shows you how to work with your doctor to determine if you have thyroid dysfunction, what the root cause is, and most importantly, how to overcome it and get your life and your health back. 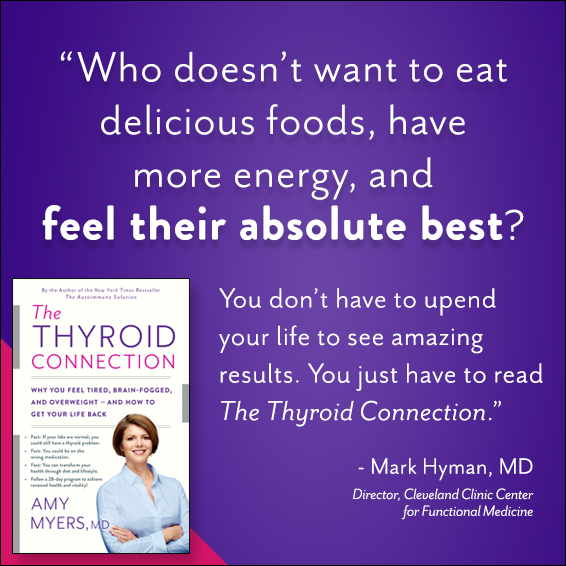 Start your healing process now and purchase The Thyroid Connection today! Are you tired, plagued by brain fog, struggling with anxiety or depression, constantly cold or always hot, or unable to lose or gain weight? If so, you could have thyroid dysfunction. 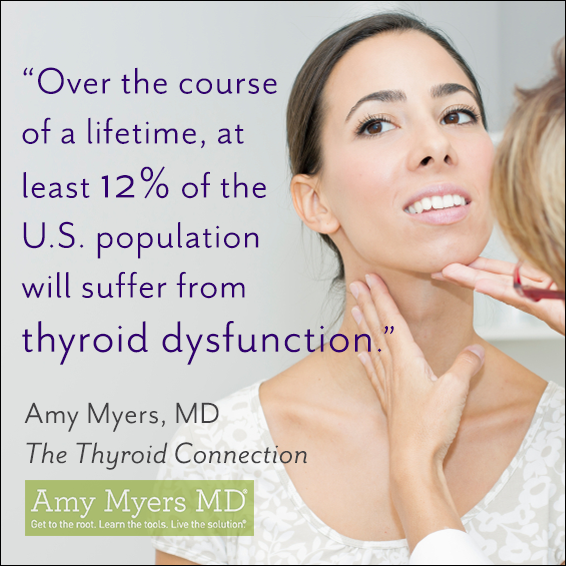 Over 27 million Americans have some form of thyroid dysfunction, and 60% of them don’t know they have it! 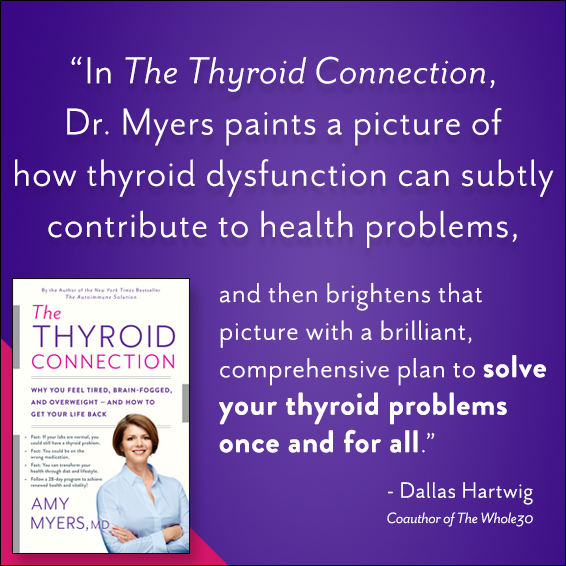 In her new book, The Thyroid Connection, my friend Dr. Myers shows you how to work with your doctor to determine if you have thyroid dysfunction, what the root cause is, and most importantly, how to overcome it and get your life and your health back. She knows this firsthand because she was diagnosed with Graves’ disease in medical school, and ever since then she’s been on a mission to empower others with everything she wishes she would have known when she was sick. 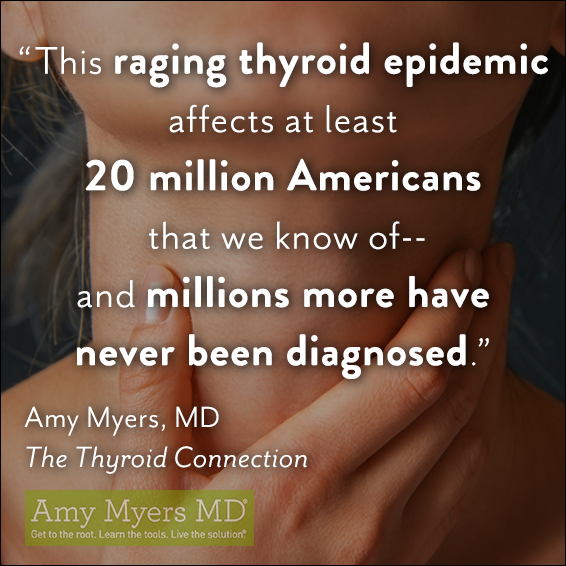 We are in the midst of a thyroid epidemic. It is estimated that 27 million Americans have some form of thyroid disease and one woman in eight will develop a thyroid disorder during her lifetime. 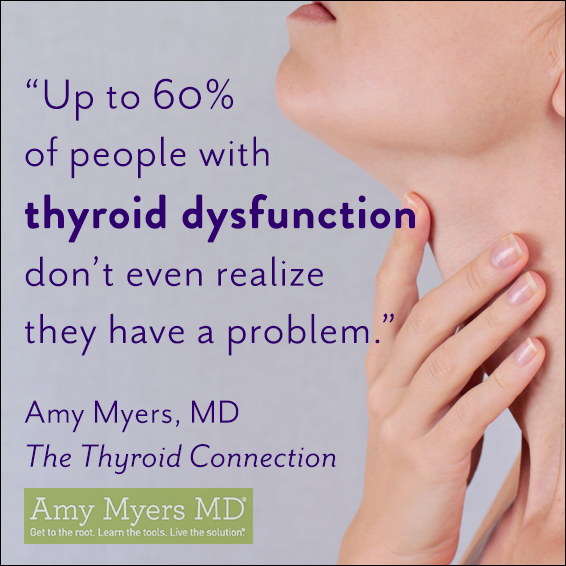 What’s worse, up to 60% of people with thyroid dysfunction don’t even know it! 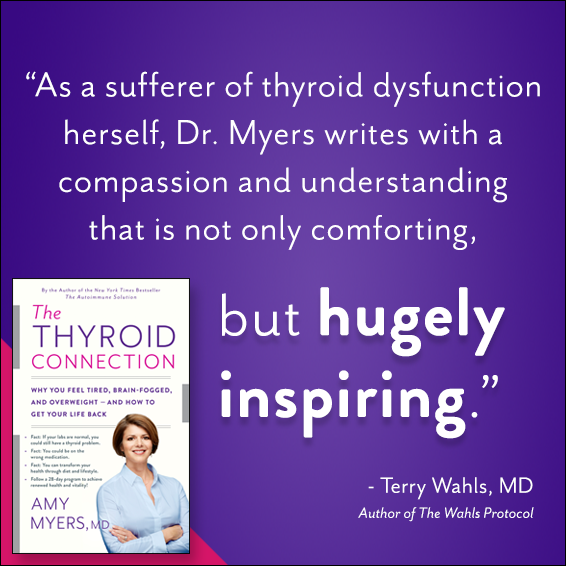 That’s why I’m so excited for Dr. Amy Myers, leading functional medicine physician, New York Times bestselling author, and a colleague of mine, to join us today for a Q&A about thyroid health! 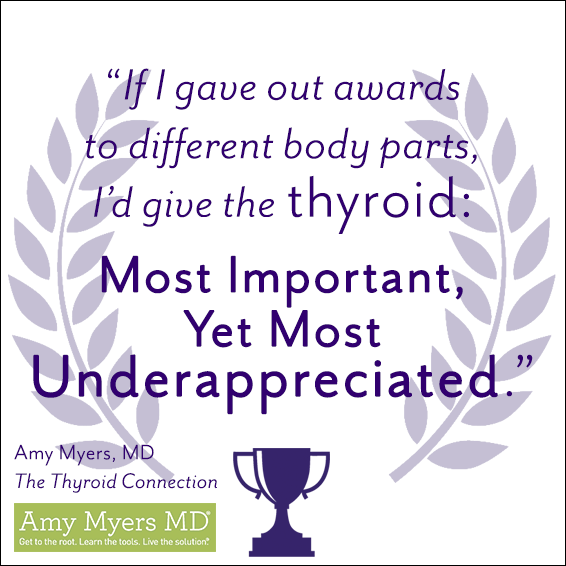 She discusses why conventional medicine is failing millions with thyroid dysfunction, what the true underlying causes of thyroid disease are, and how to overcome them! Get the Q&A blog post copy here. You can embed this in a blog post or share on social media with a link to the book page.